Germany’s outgoing Chancellor Angela Merkel said she has “grave concerns” about the world’s state of affairs. 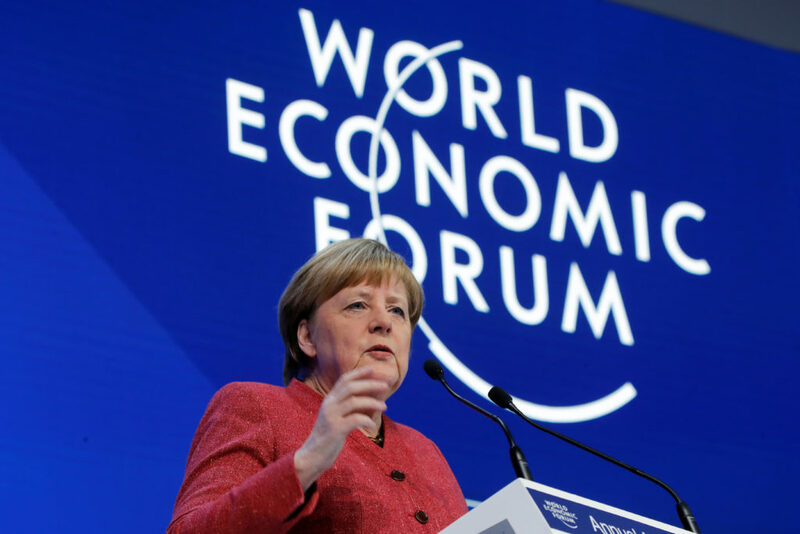 The chancellor’s speech was indicative of the mood that has settled over Davos this year, as populist movements have taken hold in a number of countries and the global economic outlook has become less certain. “This is the year of confusion. No one is exactly sure what is the direction. They have no idea what will be the outcome of 2019,” said Maurice Lévy, the chairman of Publicis Groupe, the world’s third largest advertising group that operates in hundreds of countries around the world. Of the major speakers Wednesday, Merkel struck the most alarming tone, but Japanese Prime Minister Shinzo Abe and Brazil’s new President Jair Bolsonaro, a far-right populist who has been nicknamed “Trump of the Tropics,” also took the stage. Just as noteworthy is the large number of world leaders who did not come to the Swiss Alps, for reasons that will shape global politics in 2019. Among those not attending: China’s Xi Jinping, Russia’s Vladimir Putin, the U.K.’s Theresa May and France’s Emmanuel Macron. Davos has long been a favorite gathering place for the world’s biggest powers, and for good reason. Legions of journalists await them. There are plenty of powerful people to talk to. Security is in good supply, and the mountain views are stunning. So it takes a lot to keep global leaders away — this year, it’s clear that they’ve got a lot to deal with in their respective countries. President Donald Trump cancelled his attendance because of the government shutdown, but his absence is not much of an anomaly. American presidents rarely attend the World Economic Forum; their administrations do. Trump cancelled this year’s delegation to Davos a week before the event. In conversations, business leaders said the cancellation was a disappointment because Davos typically provides a rare chance for international businesses to to speak to high-powered U.S. officials such as the treasury secretary. 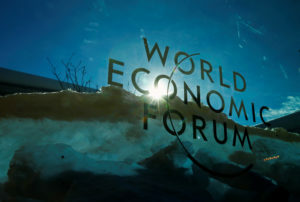 Political unrest and recent disappointing economic data has created a climate of pessimism and uncertainty at Davos. Taken in isolation, the Trump administration’s absence and the reasons behind it would furrow brows. Add to that the other global figures who skipped the event — and their nations’ challenges — and you’ve got a proper topic at the Davos cocktail parties. “All of this is saying — what the hell is happening,” Lévy said. To be clear, many business people don’t miss the rigmarole involved when the world’s top leaders leaders show up. Their security entourages can choke up the streets of this Alpine town – making it more difficult for executives to meet and make deals, but rare is the CEO who doesn’t value a little face time with the politicians on whom they often rely. They are also worried: The problems that are keeping the politicians at home are so great they could have ripple effects abroad. British Prime Minister May, who addressed the international business community at Davos last year, skipped this year to focus on getting parliamentary approval for her plan for the United Kingdom’s departure from the European Union. It isn’t going well. If she doesn’t get lawmakers on board with a plan by March 29, the U.K. will leave the E.U. immediately without a deal spelling out any new arrangements. The “no deal” scenario, according to the British government’s own estimates, risks recession, a 30-percent decline in house prices and yet another sharp devaluation of the pound. So great is the concern among British politicians, Parliament is edging closer to usurping the prime minister’s power and pushing back the deadline against her will. French President Macron, meanwhile, continues to confront the “yellow-vest” protests that have rocked his country for months. Instead of attending Davos, Macron hosted a “Choose France” event last weekend, where 150 executives stopped at Versailles Palace before heading to Switzerland. The event, his advisors said, was to reassure investors that the sometimes violent demonstrations that have been destabilizing France won’t deter him from pro-business reforms. Chinese President Xi spoke at the forum in 2017 but stayed home this year, issuing an unusual warning to members of the Communist party this week. He said the party’s leaders needed to do more to address the serious economic and political risks that the world’s second-largest economy faces. The same day, China reported the country’s slowest annual economic growth since 1990. The U.S. and China face their own March deadline to come up with a trade deal. If the two countries do not find common ground, each has promised to impose new tariffs on the other country’s goods. The political unrest and the recent disappointing economic data has created a climate of pessimism and uncertainty at Davos. 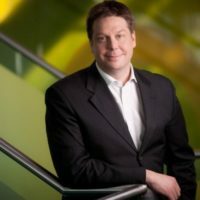 “Last year, business leaders were gathering at a time of synchronized growth. We’re now looking at a synchronized slowdown,” Bank of America Chairman and CEO Brian Moynihan said. U.S. consumer confidence and economic growth, however, remain strong, prompting some to take a more nuanced view of things. Gurría said there are real issues, like Brexit and the worsening trade tensions, that threaten economic growth, but business leaders need to be more nuanced about how they see things, saying that last year they were too optimistic.